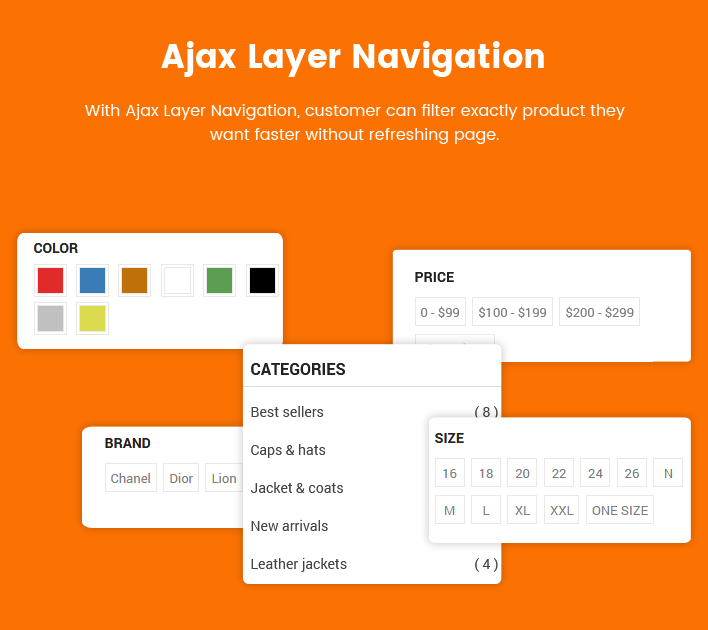 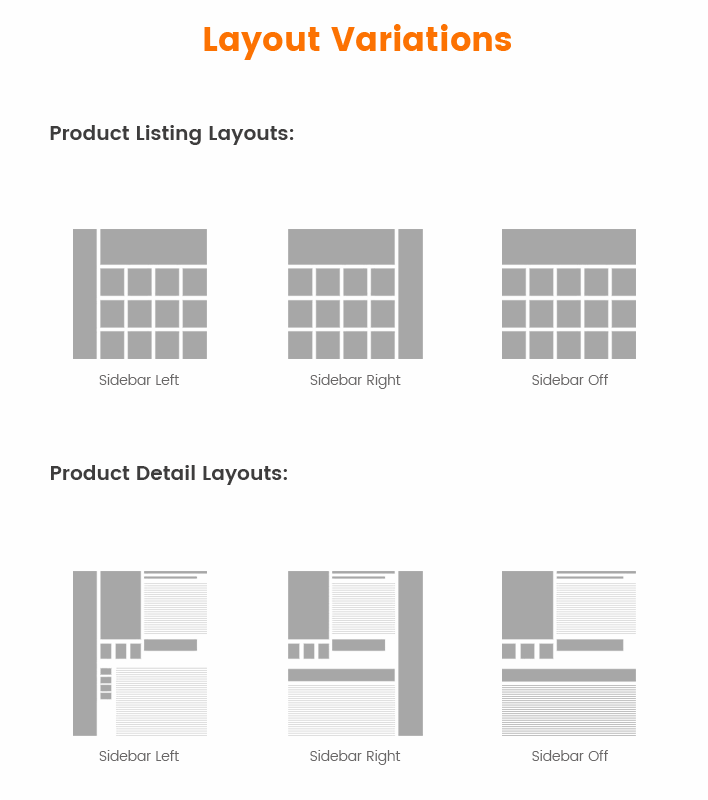 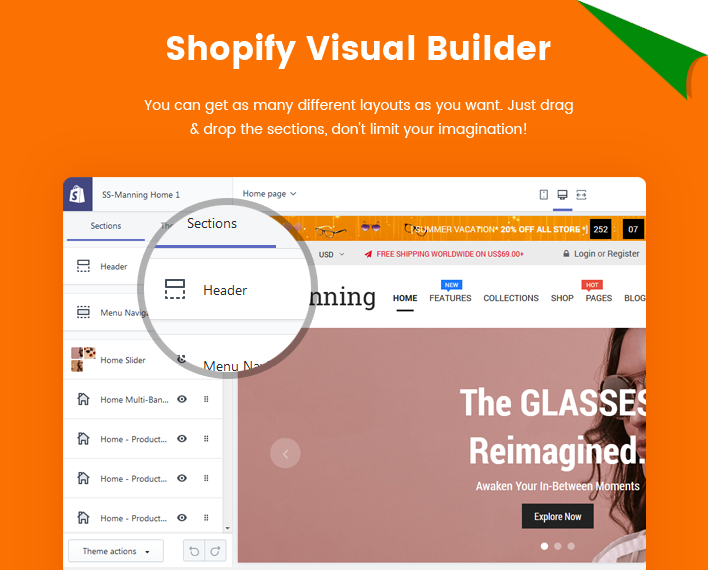 Manning is a clean Shopify theme with Drag and Drop Page Builder. 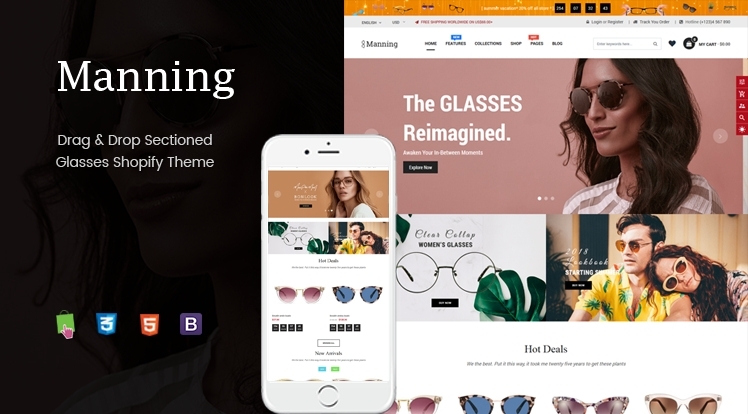 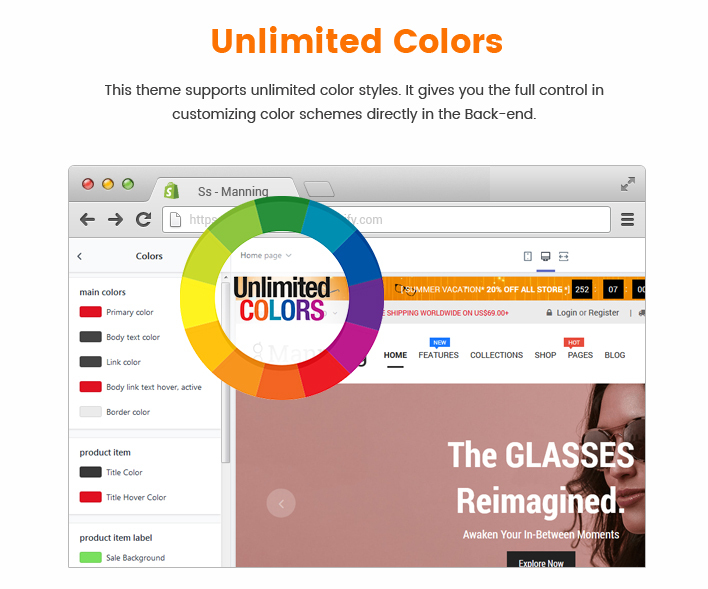 The multipurpose Shopify theme is suitable for many kind of products especially for glasses, sun glasses, eyewear and accessories. 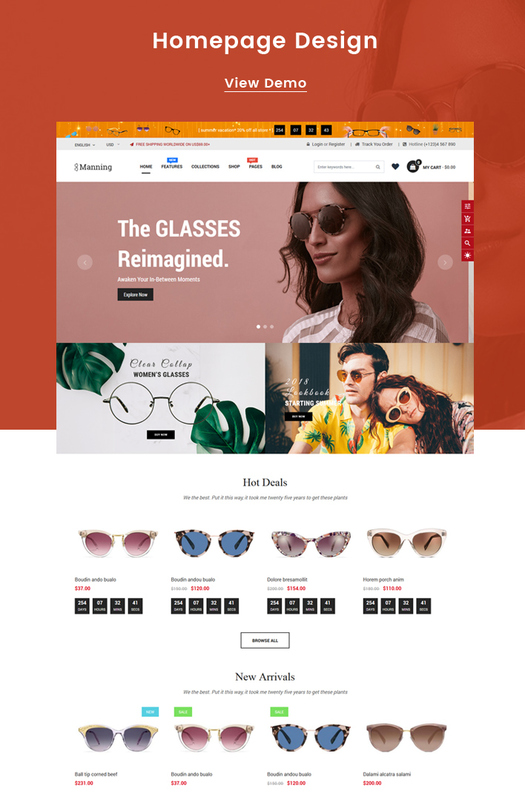 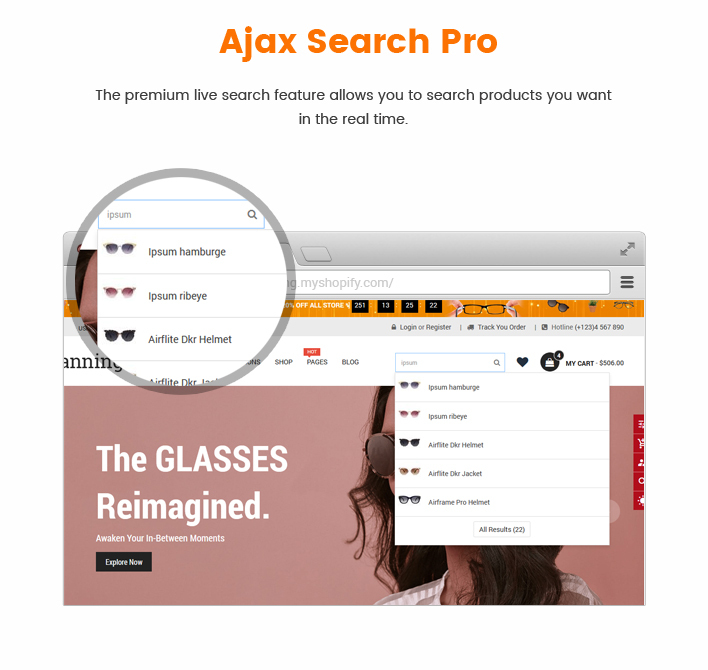 This Sun glasses Shopfiy theme is developed on Shopify 2.0 Framework and latest web technologies: Boostrap 4, HTML5, CSS3 and so on. 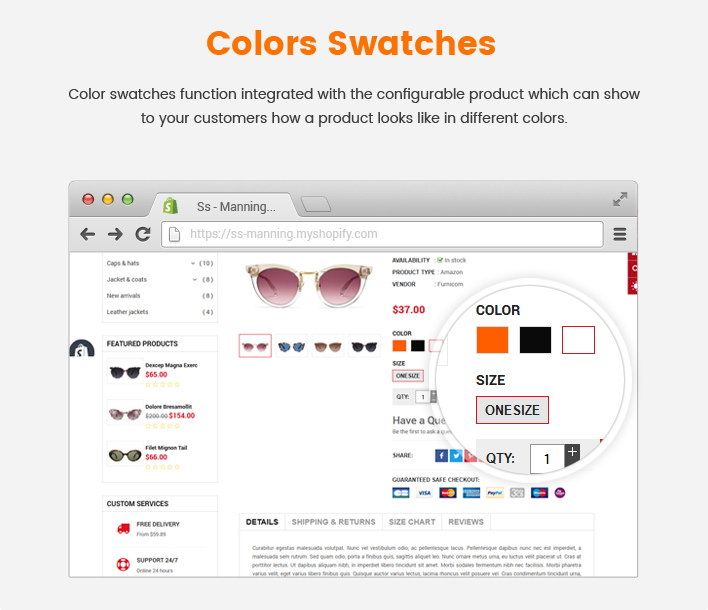 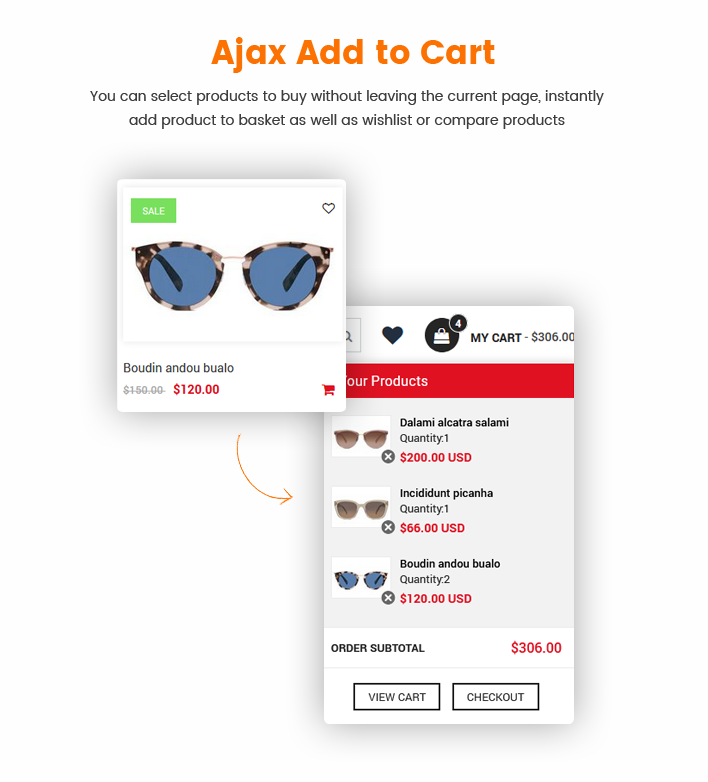 Moreover, Manning sunglasses Shopify theme is fully responsive and mobile-friendly. 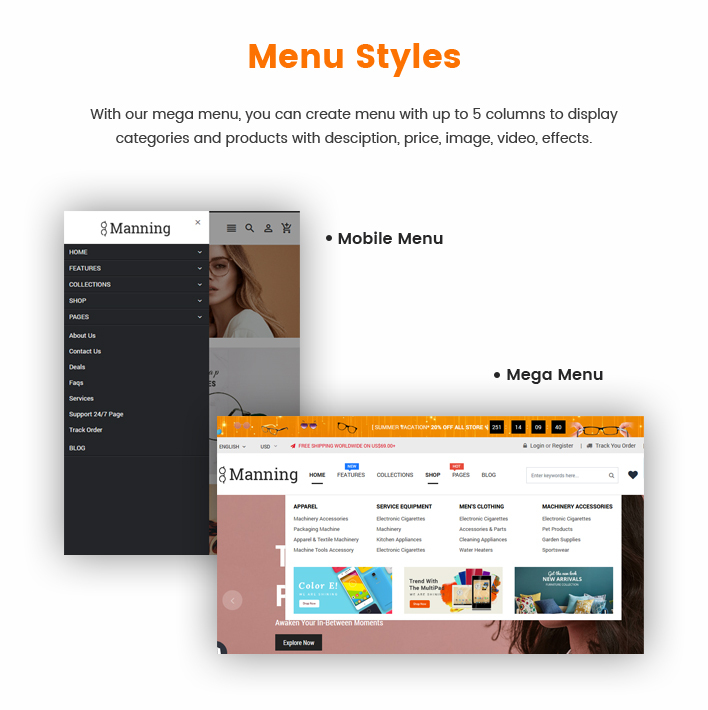 Your website will look stunning through any devices. 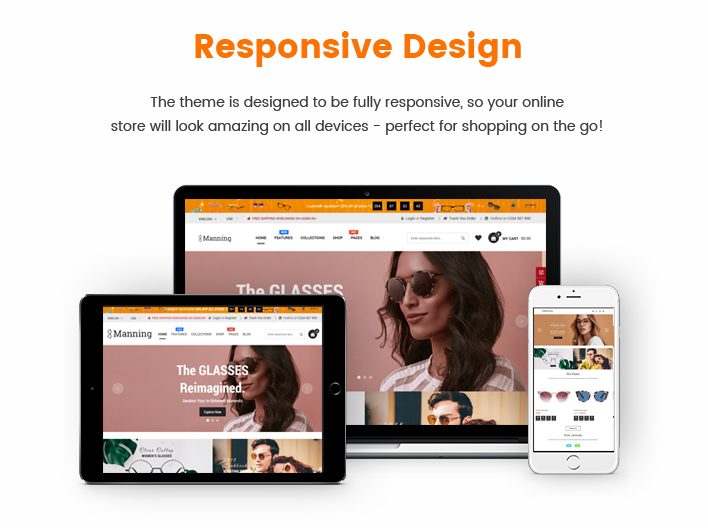 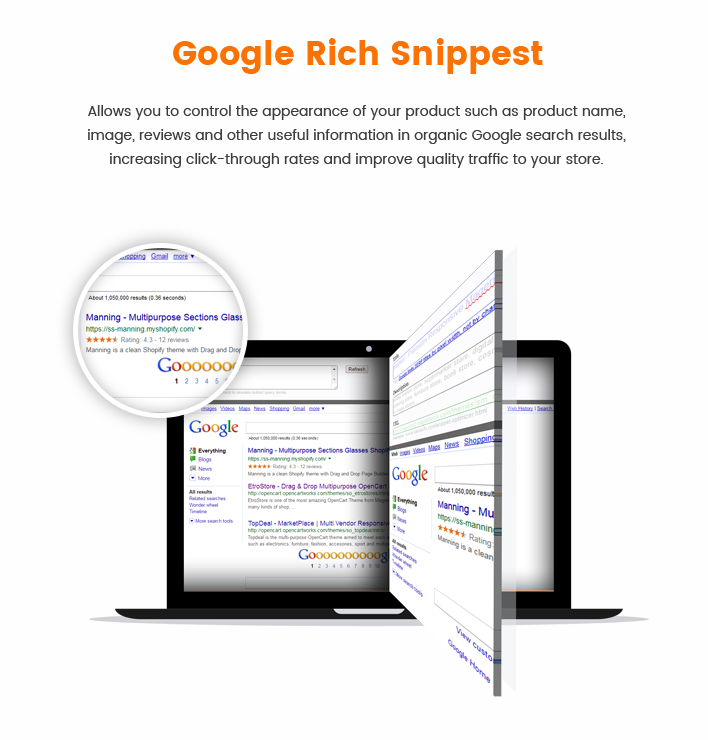 Manning theme will bring a comfortable experience to your eCommerce websites.